Most likely you have heard of benefits of using natural ingredients for hair care such as apple cider vinegar for hair cleansing; avocado, mayonnaise, yogurt and coconut milk for hair conditioning and many more. Olive oil has been is use for hair care for many years. It helps to restore natural moisture to your hair and makes it look healthy & shiny. It works as a natural, deep conditioner so can provide extra softness to the hair. It also has many other uses and benefits, which we have already shared with you in this article. How To Apply Olive Oil On Hair As A Conditioner? (i) How Much Olive Oil? If you are using olive oil on your hair first time, use only up to 2 tablespoons for your first treatment. And then increase the quantity every week till you feel it’s enough for your hair. (ii) Massage: Massage the oil gently into your hair for a few minutes from root to tip. If you have a dry scalp then massage the oil on to your scalp as well. (iv) Rinse: Shampoo you hair as usual. Gently towel dry your hair. Use it once a week, unless your hair is very dry and requires a moisturizing treatment more than once a week. How To Use Olive Oil For Hair As Hot Oil Treatment? (i) Place about half a cup of olive oil in warm water or microwave in order to warm it up slightly. (ii) Transfer the warm oil to an applicator bottle or just use your clean fingers for messaging the oil on to your hair from root to tip. (iii) For more effective application, section off 3-inch pieces of hair and then apply. (iv) Cover your head with a towel for about 30 minutes or even longer. Shampoo and condition your hair as usual. You will feel your hair insanely hydrated and soft textured. What Is The Use Of Olive Oil For Hair? Olive oil is most useful for dry, thick hair because of its ability to keep hair moist & strong. 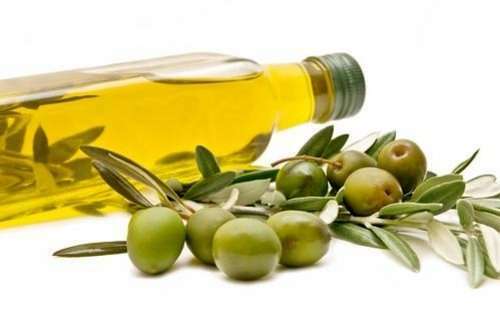 Olive oil, being of thicker texture, tends to weigh down thinner hair. Oily hair and scalps generally don’t require the conditioning. Extensively processed hair such as those, which have been bleached or treated with relaxers and perms— particularly need extra moisture. Caution: Before applying on bleached hair, always test it on a strand to ensure the oil doesn’t leave a trace of its green shade behind. Note: Make sure to wait for at least 72 hours after the treatment before you apply olive oil. You can use olive oil to help smooth the broken, split or burned ends of your hair. Simply apply extra virgin olive oil to the last two inches of the hair strands that are damaged. All though, you’re just applying the oil on to the damaged hair ends, but make sure to keep your hair pinned up so that the oil doesn’t get on to your clothes. But, If you like – you can condition your hair all over by messaging the oil starting from the scalp, all through to the ends.